A San Diego artist is tackling a unique feat – painting 101 paintings in 101 days. Cherry Sweig is an artist and a longtime volunteer with the Chula Vista Nature Center. Starting December 1, 2010, Sweig has been painting seven paintings a week as part of a fundraiser for the nature center. 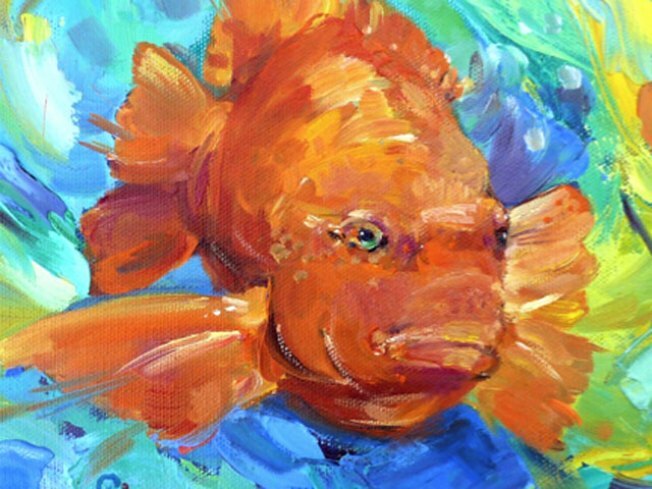 The oil paintings – each created on 101 square inches of canvas – depict animals and scenes from the nature center including scorpions, starfish, hawks, etc. “I have a list that I’ve chosen where I try to pick a variety,” said Sweig who is working on the paintings simultaneously. The paintings are priced at $101 each with proceeds going to the nature center to pay for operations, improve programs and care for the animals. Sweig will teach two classes on how to capture nature into art. The first is scheduled for February 12. For more information, visit the nature center just of the E Street exit in Chula Vista or call 619 409-5900.